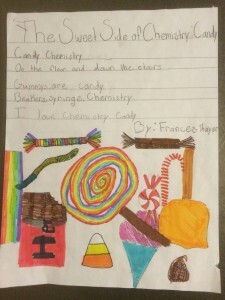 The Sacramento Section of the American Chemical Society (ACS) is proud to announce the winners of its 2014 Illustrated Poem Contest, part of the celebration for National Chemistry Week (NCW). 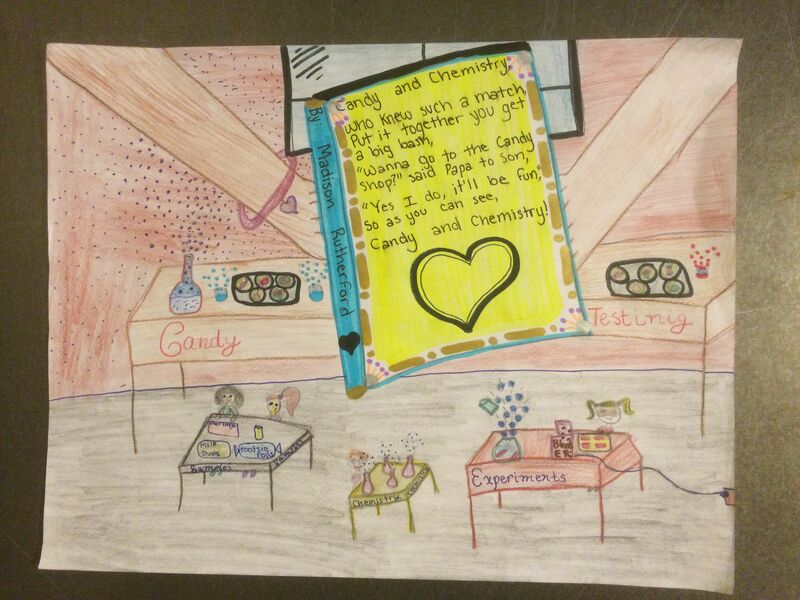 The theme for this year’s contest was “The Sweet Side of Chemistry: Candy”. 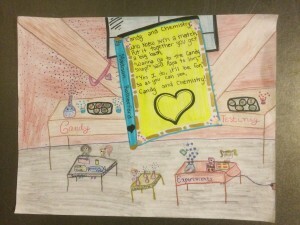 There were four age categories: grades K-2, grades 3-5, grades 6-8, and grades 9-12. Each age category had first prize ($50), second prize ($35), and third prize ($15). The winners of this year’s local competition will be entered in the ACS National Competition in which first prize is $300. 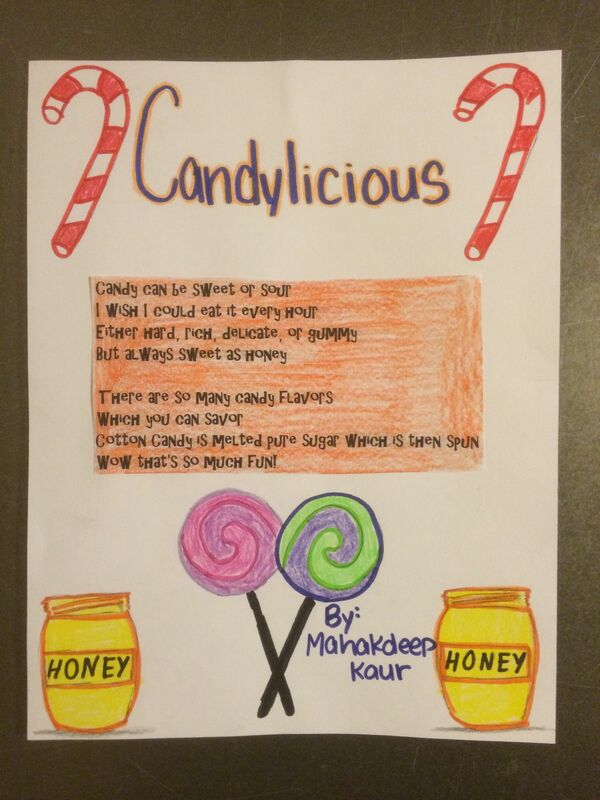 This is the first time that the Sacramento Section has participated in the Illustrated Poem Contest in recent memory. The contest was advertised to all local section members through Facebook and the Sacramento Section newsletter. Members of the Executive Committee of the local section also contacted local teachers. Illustrated poems were judged for artistic merit by Robyn Waxman, Professor of Graphic Communication at Sacramento City College and an award-winning designer, and for poetic merit by Alex Russell, a member of the Board of Directors for the Sacramento Poetry Center and founder of the Real Poets Writing Project. For more information about this contest or the other activities of the Sacramento Section of the ACS please contact Bill Miller at millerw@scc.losrios.edu. What follows below is a list of the winners in each category with their grades, schools, teachers, and illustrated poems. Unfortunately, there were no entries in the K-2 category. Bill Miller is a Councilor of the Sacramento Section of the ACS. 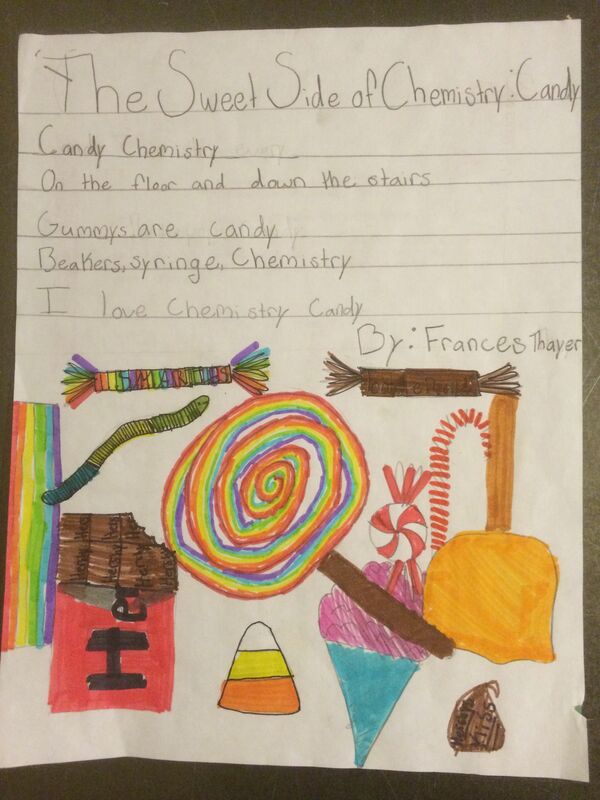 He also teaches chemistry at Sacramento City College.